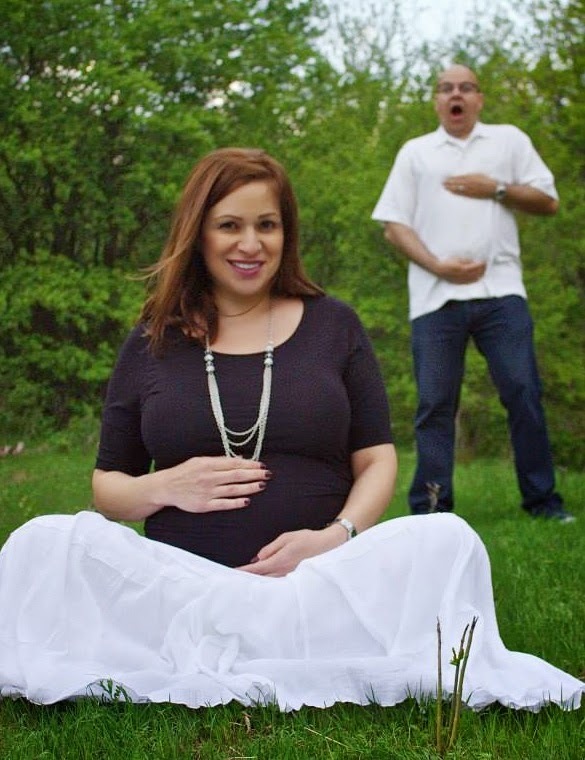 The Pregnant Husband: Sleepless Nights & Boobiliciousness! Wife is still not admitting whether she is taking in the 100 crazy ounces a day of water. But hope she is. Today continues the one day at a time journey. Seems like symptoms continue to be increasing both in intensity and variety. She continues to toss and turn all night with sleepless nights continuing to intensify. Enter my appreciation for our Tempurpedic bed. She can toss and turn all night and I won't feel a twitch. Life's little victories. So our little ones are the size of blueberries. And are now half an inch long. That is crazy to imagine that. Today the buds that will be the foundation for their teeth are growing their buds. The ends of the buds now have hands that look like tiny paddles. The buds that will be their feet and hands are getting longer and now forming the future fingers and toes. Whoaaaaaa! Internally, the pancreas and appendix are now forming inside their bellies. The eye lenses are also taking shape. Even though their eye color was already at conception. I wonder what color will dominate. Both wife and I have brown eyes. Both of our parents have green eyes. And the Gallegos and Rodriguez side of the families are all blondes and light completed. The Jaquez and the Sanchez side of the families are all mostly brown eyed and olive skinned. I lay away at night wondering which traits will come through the most. This wonder and amazement is a part of the journey. It's a part of stopping in the middle of the madness and smelling the roses and taking it in. 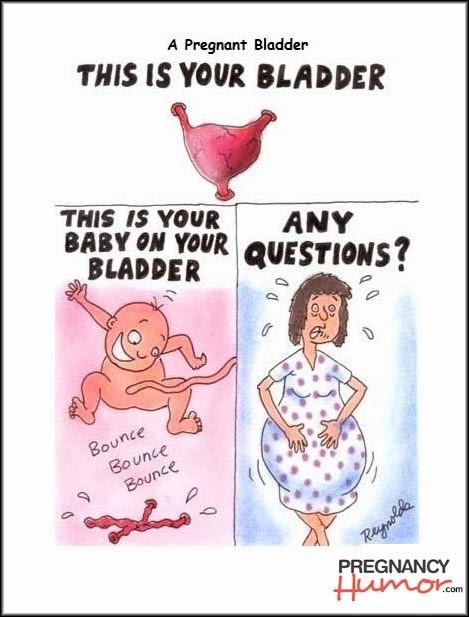 The mechanism inside the womb is on overdrive. Her cervix is now sealed by a mucus plug that will stay closed until delivery time. The umbilical cords have finished forming now. Her body is now officially transferring nourishment and oxygen to the twins via the umbilical cord. That same vessel is even transporting poo away into Mom's poo canals too. Their digestive system and lungs are now developing too. This week, the mouth, nostrils, ears, eyes, and some facial features are becoming more defined. Crazy!!! Today, the wife actually reported an official odd craving. She wanted grilled cheese sandwiches with Cheetos, yuck! Being the only partner of reason these days, I recommended dipping carrots on hummus to meet the craving. Same taste right? Have I mentioned that the worse symptom of pregnancy of them all is her apparent dislike and refusal to touch the kitchen? I am still leery of that symptom and will have to have the Doc validate! I think it's a conspiracy to get me to unveil my Chicago and San Diego alumni single days chef culinary skills. While she slept most of yesterday, today she was in nesting mode. Cleaning, cleaning, cleaning, and cleaning where clean was. This is definitely a rollercoaster of moods and feelings. For sure. Had an odd call from Mom today which I rarely get mid-day, mid-week. Ever. During a break, I stepped out to take the call. Turns out in an ironic turn of events - wife would say Oprah believes there are no such things as coincidences. Her annual pap prompted a call from her Doc for an urgent biopsy to be done Monday. Turns out there is something that shouldn't be in her uterus. 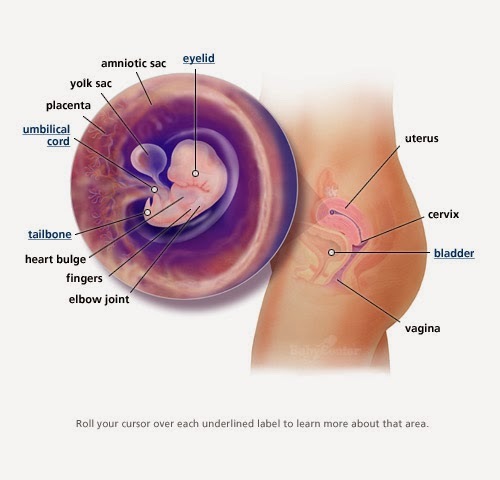 Yeap, the same body part we are nurturing on this journey to be the cocoon of our two bundles of joy. The procedure is scheduled for next Monday. Calling on the universe for an uneventful incident. We are not ready for any bumps in the road just now, not right now. Here's how the baby looks today. 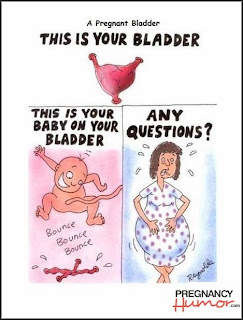 Thanks to BabyCenter for the visual. It's pretty unbelievable what the human body is capable of. The ultimate miracle of life itself! Thankfully, Mom's results came back this past week as normal.